PLANET's .68 CALIBER PAINTBALL AMMO SOLD SEPARATELY. See Purchase Links Below. Groups of ten or more play privately. 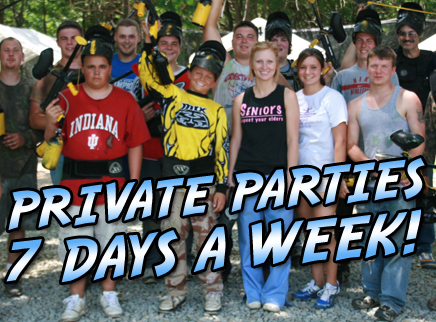 See .68 Caliber PAINTBALL purchase links below to add paintball ammo to your party.